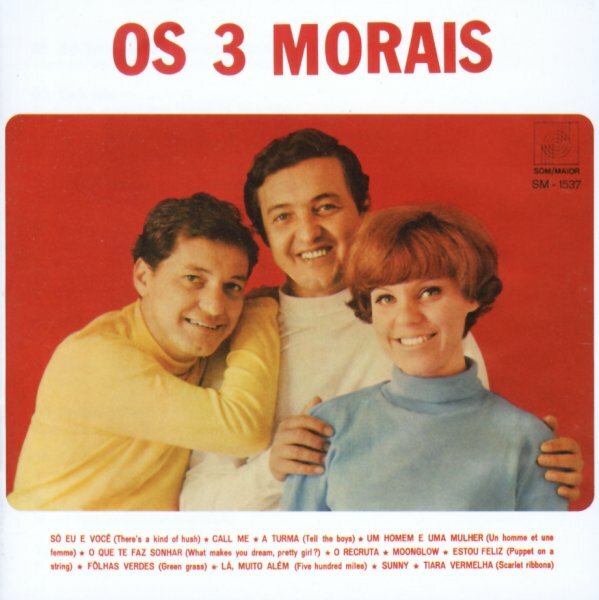 The first album we've ever seen from Os 3 Morais – a group who also issued material in the US under the name of Os Tres Brasileiros! Although most of the group's late 60s/early 70s sides are in a sophisticated bossa style, this work carries more echoes of mid 60s pop – not really the straight rock of the jovem guarda generation, but instead this really nice mix of jaunty arrangements and the group's great harmonies from their two guy/one gal lineup! Many tunes are of Anglo origin, but reworked through nice arrangements by Portinho and organist Ely Arcoverde – and titles include "Sunny", "La Muito Alem", "Folhas Verdes", "Estou Feliz", "ESo Eu E Voce", "O Recruta", and "A Turma". © 1996-2019, Dusty Groove, Inc.